Wow!, lately I have been writing a lot of rest in peace stories. We are losing our icons too fast it seems. I wanted to give my tribute to Don Cornelius and keep things positive in light of the circumstances of his death. You never know what someone is going through to make them do the things that seem at the time the only way out of a situation. So I will keep my counsel on that. 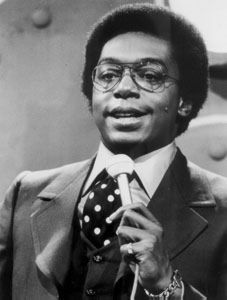 I just want to say ‘Thank You Don Cornelius’!! You help to define an Era of funk, soul, disco, big afros, platform shoes, bell bottoms, gold chains, love, peace and soooooulllllll!! It was a time of those Black Exploitation Movies, Shaft, Kung Fu and a time of awaking for Black Folks. I still see it here in Harlem. People still running around like they’re Super Fly!!! Big chains and purple suits. Yes!!! I grew up watching Soul Train as a kid. We would watch it on Saturdays. It helped us to connect with the groups and artists that we loved and ones that we had heard of but never saw in person until Soul Train came along. It was a time when groups played horns and guitars, had dance routines and could really sing. The songs were about love, fun, sun and about style and freedom! Big contrast from today’s lyrics where there is violence and anger and disrespect towards women. Soul Train was our American Bandstand. A lot of groups like Heatwave, Slave, Peaches and Herb, War, etc. would not have been able to get on American Bandstand. Some of them got on American Bandstand after Soul Train! Soul Train propelled many of these groups careers that otherwise would have kept them playing the club scene. It was a great creative time for Black music and Soul Train and Don Cornelius were in the thick of it and a major player in the whole evolution of the Black music scene at that time. My brothers and sister and I used to do our own dance routines and dream of being on Soul Train one day!! It was an inspiration to us to be and do something great!! That is what is missing today from television!! No inspiration and fun! Gotta change it! Even today, we are still affected by the Soul Train energy! Just last June I was at a party and we were all dancing to some really good house music and we started a Soul Train Line!! It was so fun! That was the best part for me, just getting my chance to do my thing down that line and cheering on the next person who was next! 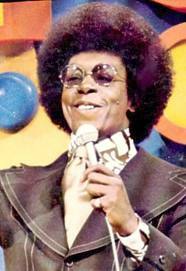 We should do one big Soul Train Line for Don Cornelius!! He was a visionary! We should take a look at what that time brought to us and see what we can do to bring more fun into our lives, our households and our communities. Love, Peace and Soul is what the world needs more of today. So pull out your out fits, platform shoes, big afros and afro puffs and get down tonight!! Thank you Don Cornelius for all that you have given us!! May you now rest in peace! We will keep the Soul Train Line going for you brotherman!! This entry was posted in Don Cornelius and tagged Black History and Culture, Black Television, Dance Shows, Don Cornelius, entertainment, Legends, music, Soul Train. Bookmark the permalink.